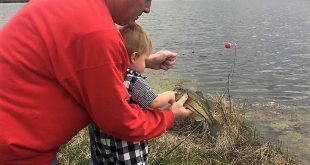 What’s hunting without traditions? Well yes, it’s still hunting, and it’s still great, but it’s our traditions that make it even better. Hunting itself can be a tradition, but I’m talking about all the stuff that goes along with it – the stuff we look forward to year after year: the favorite “lucky” hat, granddad’s gun, who sleeps in which bunk, or what I’ve discovered to be a Nebraska tradition – chili and cinnamon rolls. Any hunter who has logged a few seasons afield can tell you there’s a great deal about hunting that has very little to do with actual act of hunting, but if we didn’t have those things, the whole experience just wouldn’t be as enjoyable or as memorable. Special traditions don’t necessarily need to involve anything material or a specific activity. Sometimes the best tradition may simply be the place you go and the people you go with. When I was growing up in Pennsylvania, most everyone I knew, especially my dad, lived for the first day of rifle deer season. It was such a big deal back then that most school districts, especially in rural areas, would be closed the first day of the season because they knew attendance would be extremely low, that is, if anyone showed up at all. Even before I was allowed to go with my dad, uncles and few of their buddies on the annual trek, I was excited to participate in the preparation. I still remember my dad’s old brown sleeping bag that carried the faint smell of wood smoke from the previous year. 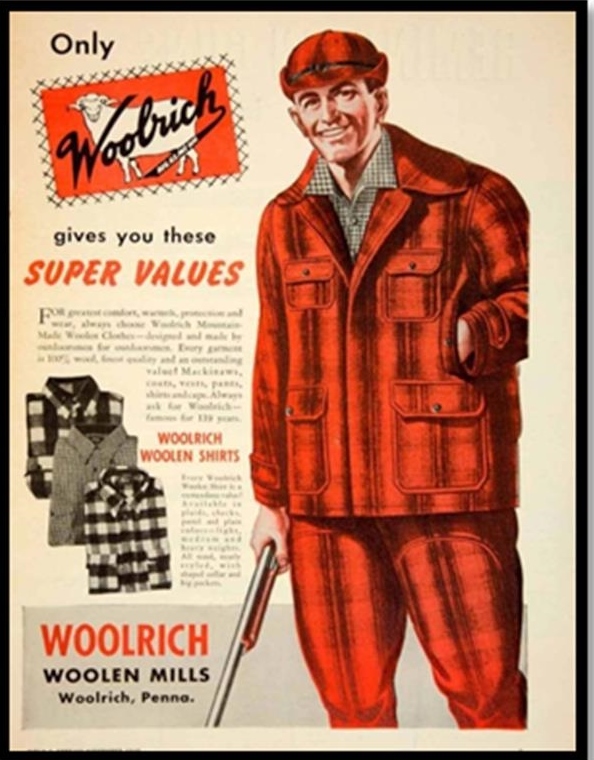 He’d lay out his clothes on the bag, roll everything inside of it, then stuff it all in his Army duffle bag, along with his red, plaid, Woolrich jacket. There was never any shaving gear among the items he packed, though; he and his buddies started growing their beards for hunting season weeks earlier and most wouldn’t shave till Christmas. My job was to help with the rolling and hold the sleeping bag tightly while he tied it shut. I had the good fortune to inherit his duffle bag. Back then, the first few days of “deer camp” were for the “guys only,” but I often got to go the last weekend of the season. One of the highlights of the trip to “Rattlesnake Camp,” aptly named for the abundance of wriggly reptiles found around the cabin in the springtime, was to stop mid-trip on PA state route 22 at Tops Diner. Picture a mom-and-pop diner straight out of the 1950’s complete with waitresses in pastel polyester, little jukeboxes on the tables and the smell of fried food in the air. 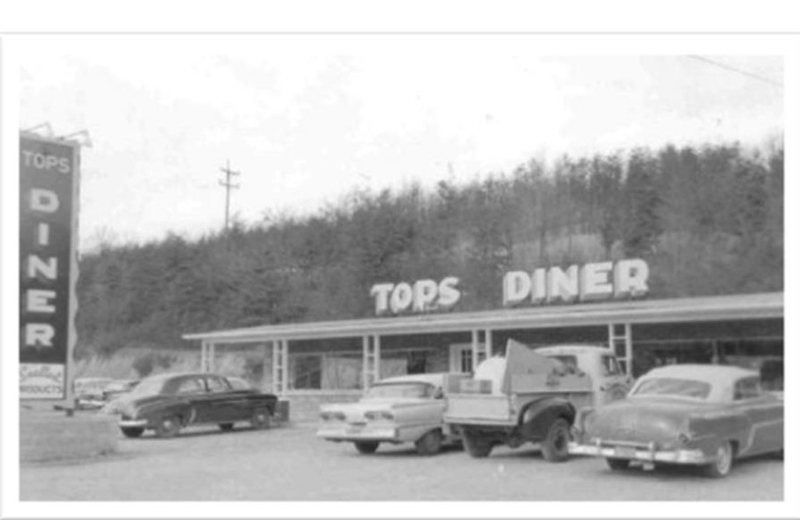 That’s Tops Diner. Still is, last I heard. If you were lucky enough to find a seat, as most were taken by flannel-clad hunters relaying tales of success or strategies for the remaining days of the season, you would be treated to some good down-home cook’n and quite possibly the best milkshakes ever made. The cabin at Rattlesnake Camp was located about three miles deep into the mountain off of an old logging road. The actual road to the cabin (more like a goat path), was filled with rocks and ruts that rattled your bones. 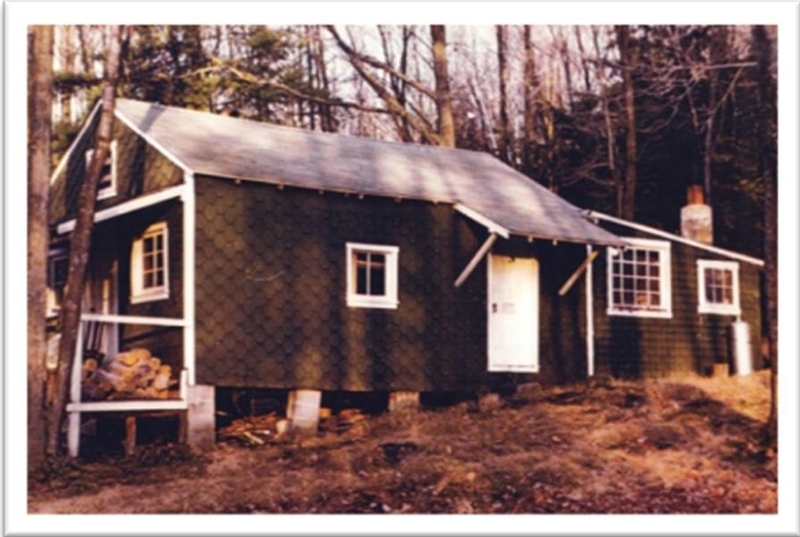 The cabin itself wasn’t much more than a plywood box with a woodstove in the middle. A garden hose provided “running water” from a spring behind the cabin into a makeshift kitchen with a picnic table covered by a red and white checkered vinyl tablecloth that always felt a little sticky from an untold number of early morning sausages and maple syrup. One year a bear got into the cabin and left claw marks in the wall on his way out the window. The wall was never repaired as far as I know, and the coffee can he’d bitten into sat on the shelf above the woodstove for many years, simply because it made for a good story. Most of the bunk beds were constructed of 2×4’s and the whole place hung heavy with the scent of kerosene and bacon grease. It was pure heaven! Usually only a few souls ventured to camp the last weekend, so there wasn’t much argument about which bunk you got to claim for yourself. However, my uncle Homer (yes, that was his real name) always slept on a cot next to the woodstove so he could feed the fire during the night. Evenings would be spent playing cards on that old, sticky red-checked table while discussing who would hunt in what location in the morning. 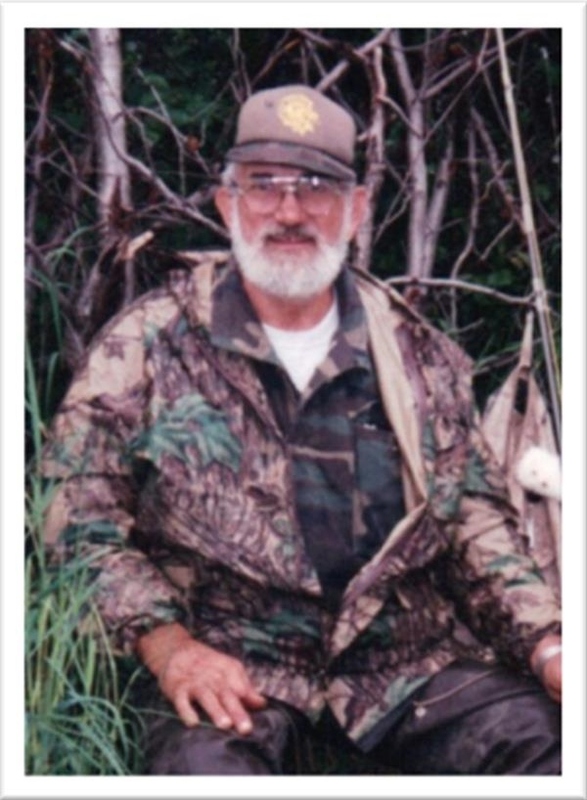 There were special spots with special names like “The Bear Wallow,” “The Rock,” “The Powerline Clearing,” and the spot I was privileged to get – “Pappy’s Tree.” The gentleman after which the spot was named passed away long before my time at camp. The old wooden chair he had sat in countless hours waiting for a big buck to pass by had rotted and crumbled from the elements, but a few spindles and part of the seat remained. I was in that very spot the first time I ever tagged a deer, and felt quite proud to be carrying on a legacy. Rattlesnake Camp is long gone, as are most of the hunters who spent every hunting season for decades enjoying that little piece of heaven in the north-central PA mountains. Since I can no longer hunt with my dad, I’ve created my own tradition of carrying a memory of him with me each time I go. It might be to wear his hat. Another time I’ll wear his jacket or his gloves. He always carried some hard candies with him and was especially partial to Bit-o-honey. Sometime after he passed away I decided to wear his jacket for a hunt. I was walking out the door when I reached into the pocket. Sure enough, I pulled out two Bit-o-honey candies. The waxy wrapping was faded and the candies had obviously been in the pocket a very long time. Those two little pieces of candy have now accompanied me on many successful hunts, along with some very special memories. Hunting and hunting traditions mean something a little different to everyone, and yet they’re the same. Whether it’s the giant pair of wool socks you dig out annually from the back of your dresser drawer, the big “deer season eve” feast with your buddies, cleaning out the party the mice had in your blind over the summer, or walking that same old trail to your favorite stand in the crisp, dark morning air, it’s a nice feeling to know you’re not alone. When you are making your annual preparations weeks, days or hours before opening day, or when you step out into the darkness the first morning and wonder to yourself, Was that tree there before?, thousands…no!… hundreds of thousands of fellow hunters are doing the same thing. Nebraska alone averages close to 175,000 permitted hunters every year. We may come from different backgrounds and not think the same way on many other issues, but when it comes to hunting, we all share in the joys and traditions. And that’s a family I’m proud to be part of.